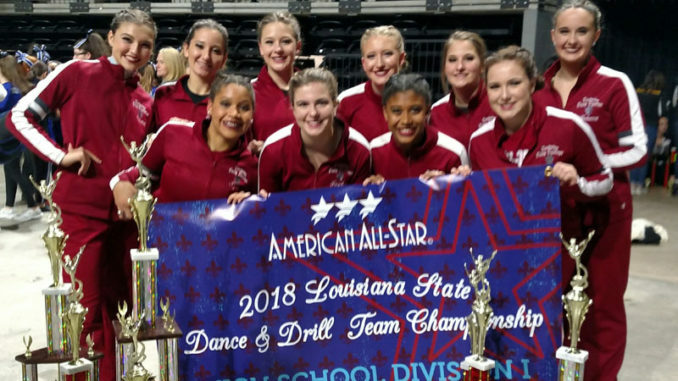 The Destrehan Desty Darlings recently attended the American Allstar Louisiana State Competition in Lafayette, earning first place at the event. The Destys earned first place for both jazz and hip hop in their division. They also received the Choreography Award for jazz and the Louisiana Sweepstakes Award for having the highest scores in their division making them the 2018 Louisiana Division 1 High School State Champions. 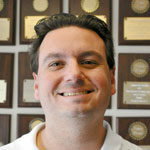 The team earned the prestigious honor last year as well. The girls were also awarded first place in the state for their jazz routine having the highest score of all jazz numbers in attendance and third for their hip hop. The Destys are currently preparing to compete at the 2018 Universal Dance Association National Dance Team Championship held at ESPN the first weekend in February against some of the most talented and prestigious dance teams across the country. The Desty Darlings are currently ranked 10th in the nation for hip hop. The officers are Kyler Thomas, Taylor Brown, Layla Ruffin, Danielle Feagley, Emma Rome, Julia Haslauer, Karley Voges, Kaitlin Mizell, Taylor Gubert and Rebecca Rodrigue.